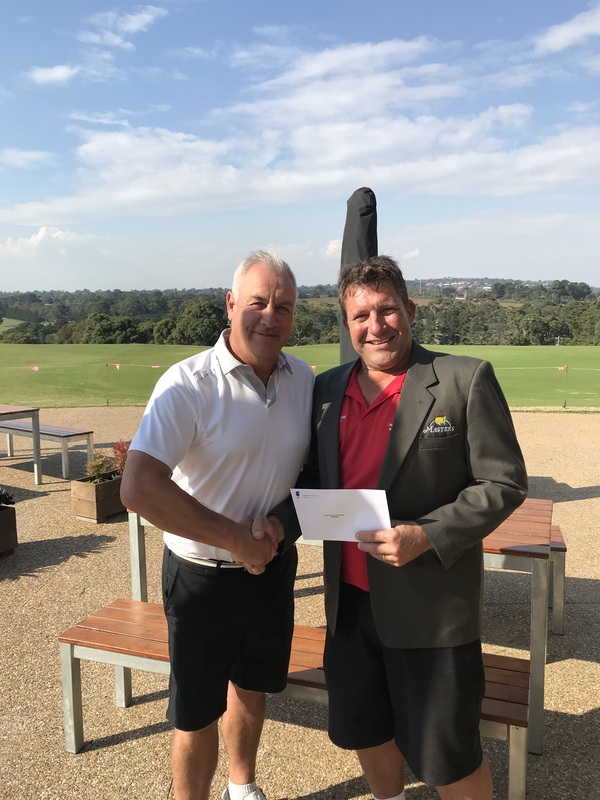 Dressed in a very appropriate RED shirt for Masters Monday was our deserving winner Jim Marconi, Jim is pictured receiving his winners voucher from Club Vice Captain Steve Winchester. With inspiration from the amazing Tiger Woods Jim’s fantastic score of 40 points was just enough to pip Steve Horstra on a countback and claim the coveted nearly Green Masters Jacket and the crown of Masters Monday Champion. Well done Jimmy and thank you to all who were here nice and early to enjoy the delicious breakfast and took part in this fantastic day.